If there’s one thing that America got right, it’s the food and these days Perth is getting it right too. From cheeseburgers, 22-inch pizzas and curly fries to boozy milkshakes, wings and the beloved Reuben sanga, here’s where to find all the best American food in Perth. It’s no secret that everything is bigger in America, especially their pizzas. Mack Daddy’s knows this and that’s why they offer their INCREDIBLE pizzas in humungous 16 and 22 inch sizes. 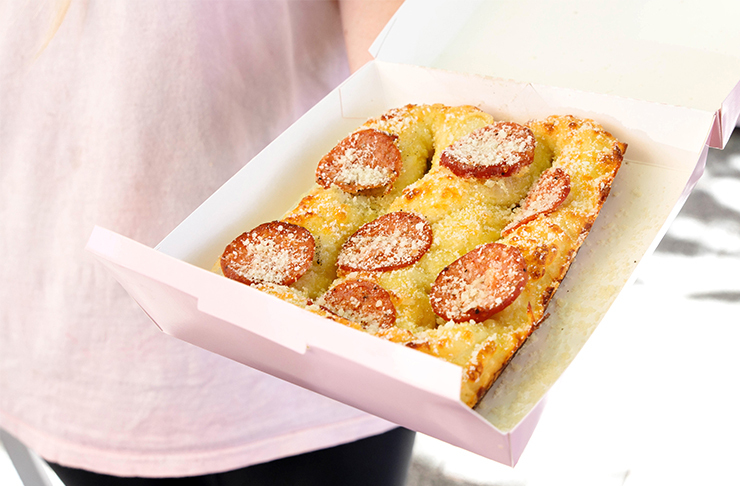 The hot and smoky pepperoni with grande mozzarella is what dreams are made of. Cheese, bacon, brisket and brioche burger buns. It doesn't get much more American than that. 3230 Smoke + Grill is serving up some of the best American style burgers and BBQ meats in the west! Cheesecake balls and sour cherry…what more could you want in a dessert? Varnish on King, you’ve done it again! Coated in Doritos dust, it’s not surprising The Merrywell’s mac and cheese bites are addictive AF. Served with smoky BBQ sauce, once you pop you can’t stop! Varsity does burgers well. Especially their cheeseburger (and double cheeseburger for that matter). Served with pickles and their special mayo, we can’t get enough! Corned beef, pickles, sauerkraut, swiss cheese, coleslaw and home made dressing are what makes a Reuben sandwich de-freaking-licious. East Village knows this and they do it well. Whether you like your milkshakes naughty (boozy) or nice (alco-free) Jack Rabbit Slim’s is the place to be. Get yours in chocolate, peanut butter, salted caramel, spearmint, strawberry or vanilla flavour with a side of fries, obv. 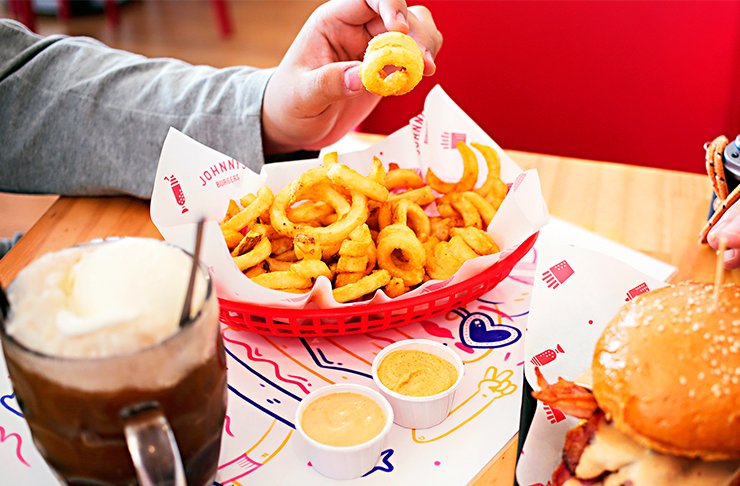 Crumbed Monterey Jack cheese and crispy and crunchy curly fries. Johnny’s Burgers has us drooling all the time. Any of their burgers will make you happy too. The ribs at Side Door BBQ are finger licking good, especially when smothered in their house made espresso BBQ sauce. It’s tough pickings between the buttermilk fried chicken and bacon waffles and the toasted s’mores waffles at RoyAl’s Chicken & Burgers so, don’t decide, just get both! 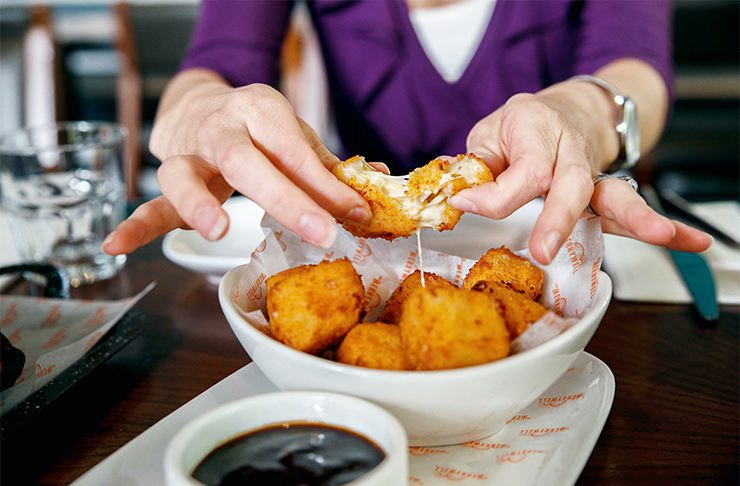 Deep fried cheese wins us over every time, but especially so when it's in the form of a jalapeno popper. Good job Miss Kitty’s! 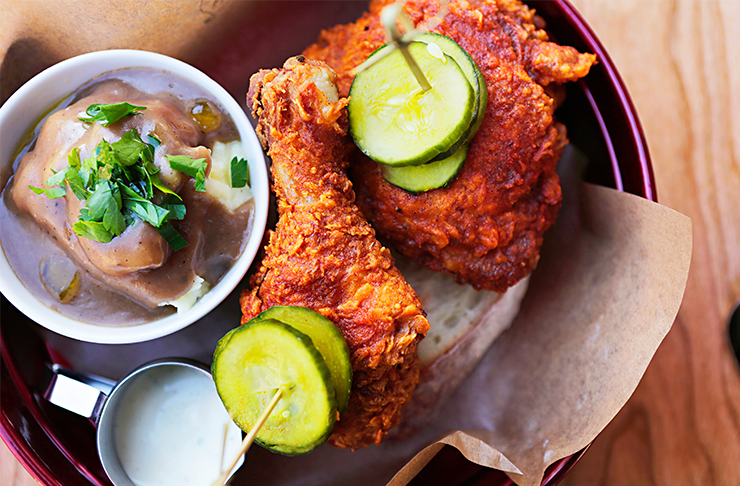 Meat Candy does American-style fried chicken best. Served southern, medium or hot style with your choice of a side (get the coleslaw), they have some deeeelish sauces including ranch and blue cheese, yum! Gotta love a big serve of cawn brayed (corn bread) and Old Faithful serve theirs with maple butter, even better! Best devoured between two (unless you’re us), the s’mores at Brooklyn Lounge are the bomb.com. Nutella and melty marshmallow sandwiched between two giant choc chip cookies. Get around it! West End Deli Cereal & Sandwich Bar serves up cereal goals. Their Fluffy Bunnies bowl is loaded with lucky charms, malted milk crumble, toasted marshmallows, milo and white chocolate, and will hit you right in the taste buds. Choose between house BBQ or smoked chipotle sauce and ranch or blue cheese dressing at Piggy Food Co and have a wingin’ good time. As they say at Pretzel Perth, it’s all good when it comes to pretzels. The guys here serve theirs sweet and savoury. Our faves are the cinnamon and caramel and the pepperoni and melted cheese. Any of the hot dogs from Frank’d will float your boat, but the Snoopy, stuffed with macaroni and melted cheese, is pretty darn glorious. And it’s only 13 dollaridoos (or bucks as they’d say in America)! Whether you like your bagels simple with schmear or loaded with smoked salmon, bacon steak or corned beef, Satchmo has your cravings covered. Looking for more American goodness in Perth, search The Directory.